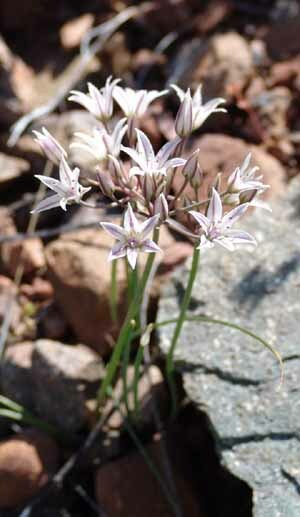 Desert Onion grows from a bulb which may lie a foot below soil surface. 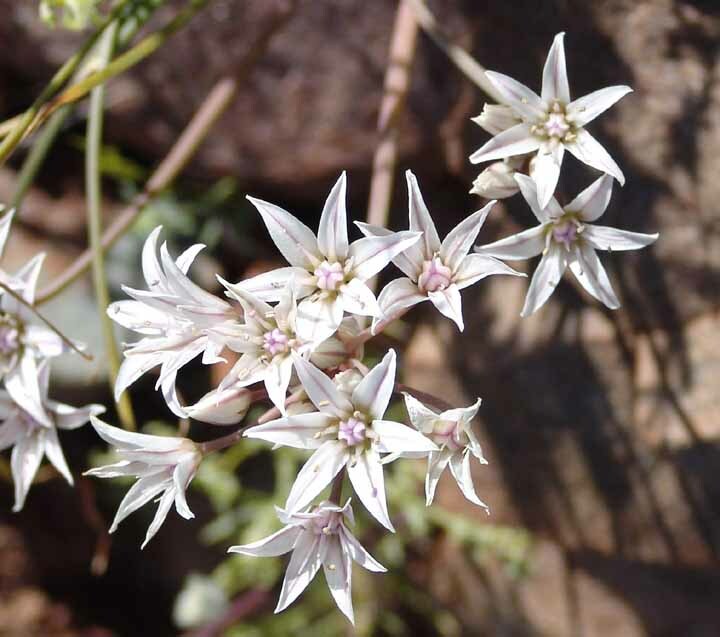 The single stalk may be up to a foot tall, and its two leaves are low and grasslike. When crushed, they smell like onion.